Yesterday, The Korea Times reported that Samsung was to close its "unprofitable" desktop PC business as "demand for conventional desktop PCs is going down," according to an unnamed spokesperson. The weirdly written article also quoted another Samsung official saying "tablets, all-in-one and hybrid PCs are Samsung's current focus," thus suggesting the company seemed to be singling out desktop PC towers or boxes. 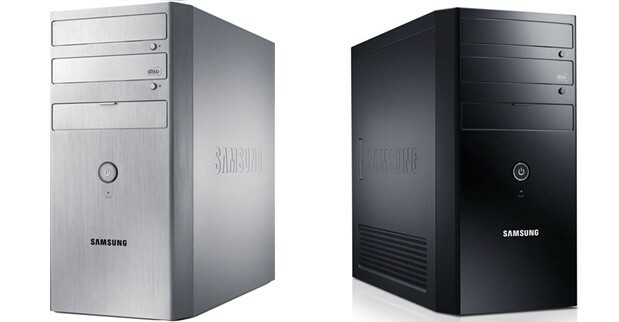 "The rumor that Samsung is withdrawing from the PC desktop business is groundless. Samsung will continue to offer diverse products according to market needs, including our recently announced ATIV One 5 Style, a stylish all-in-one PC. We will continue to open all possibilities in PC business including our PC Tower business, to satisfy consumer's diverse lifestyle and needs." So in a nutshell: nothing to see here, move along. And technically speaking, the Chromebox kinda counts too, right? Update: Samsung just informed us that it actually launched a couple of desktop PC towers, the 700T3A and 300T3A, in January this year, but only for the Korean B2C market. We got them pictured after the break.